For Fear the Walking Dead's fourth season, the cast and crew of the AMC series will be moving north of the Mexican-American border into Texas. The sibling series to the top-rated show on cable will call Austin, Texas home for production of its fourth season, ComicBook.com can confirm, after photos of sets suspected of belonging to Fear the Walking Dead popped up online. The series has claimed the Dell Diamond baseball stadium as one of its key locations. Heading into Season 4, it is unclear which cast members will return to the AMC series but a couple of big names have been added. Garret Dillahunt of The Mindy Project and Deadwood was added as a series regular, years after being a rumored for the part of Negan on The Walking Dead. Fear also added Jenna Elfman of Dharma and Greg for its fourth season. Both new cast members are series regulars. The move to Texas only furthers the speculation of Abraham Ford serving as the crossover character, jumping from one Walking Dead series to another, despite executive producer Greg Nicotero debunking the theories in an interview with ComicBook.com. While Fear's production will call Austin home, the possibility of being set in Houston is not ruled out, especially after being heavily teased in the Season 3 finale. The Walking Dead has never moved its set from the Atlanta, Georgia area but its story is currently set in Alexandria, Virginia. Fear the Walking Dead will return for its fourth season in 2018. 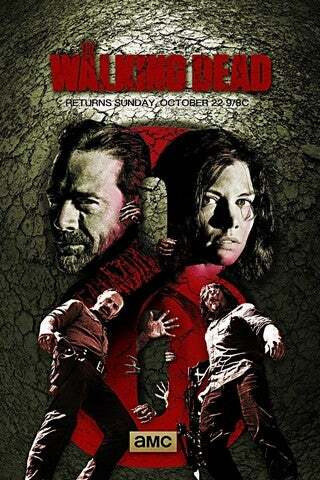 The Walking Dead airs Sundays at 9 pm ET on AMC. For complete coverage and insider info all season long, follow @BrandonDavisBD on Twitter.